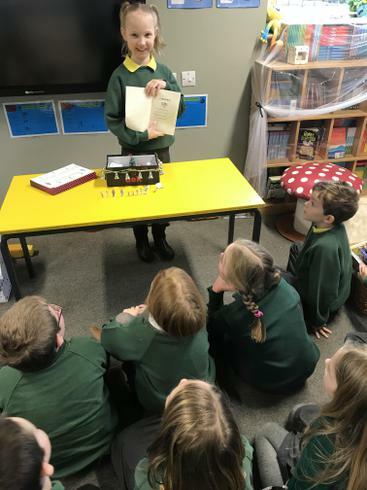 Class 2 loved Abbie's presentation this morning; she chose a Christmas story from Francesca Simon's 'Horrid Henry'. 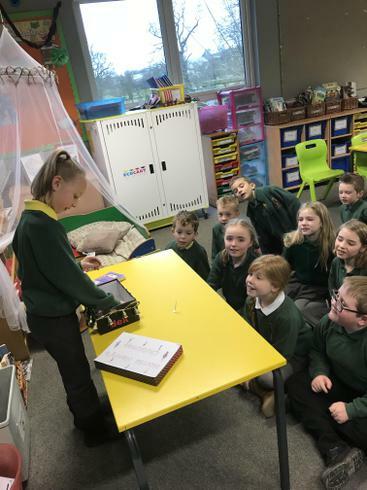 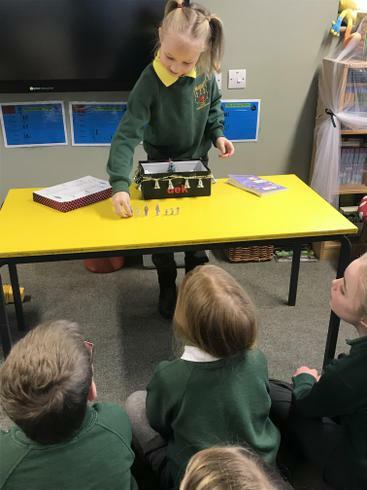 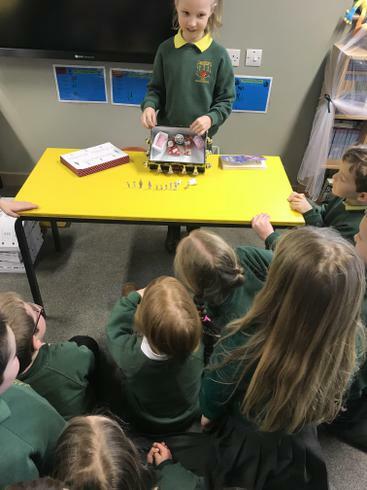 Abbie created the living room scene from the story which included amazing homemade Christmas cards and presents placed around furniture from her doll's house. 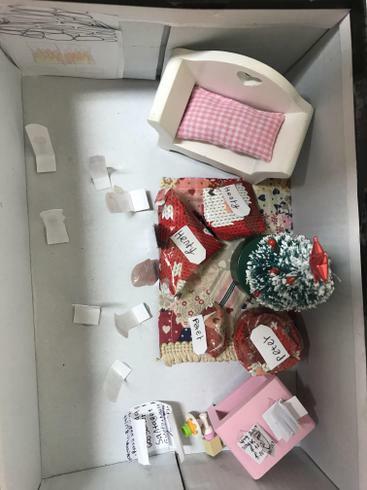 All the little special touches Abbie put into her box really captured the class's imagination and curiosity. 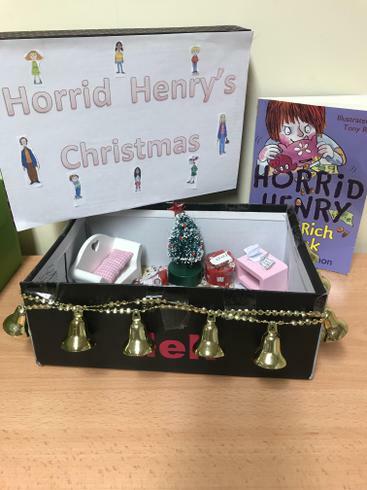 Abbie clearly loves all the 'Horrid Henry' books and gave an enthusiastic and coherent plot summary for her chosen story. 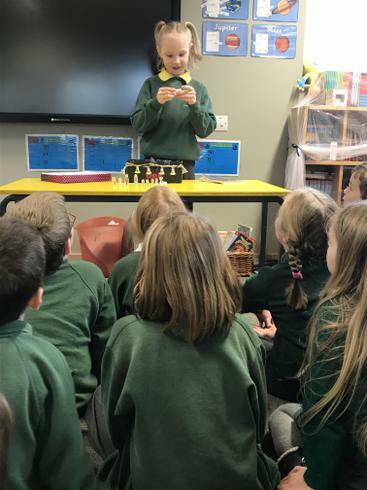 Another wonderful presentation - well done Abbie!